ADVION Cockroach Gel is a highly palatable gel bait that provides cockroach control like no other. 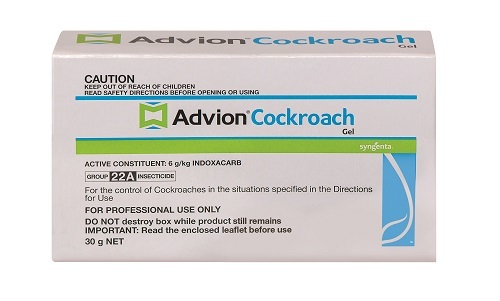 ADVION Cockroach Gel is powered by indoxacarb which has a unique mode of action allowing for the primary, secondary and tertiary control of cockroaches. Complete cockroach control, without the callbacks.